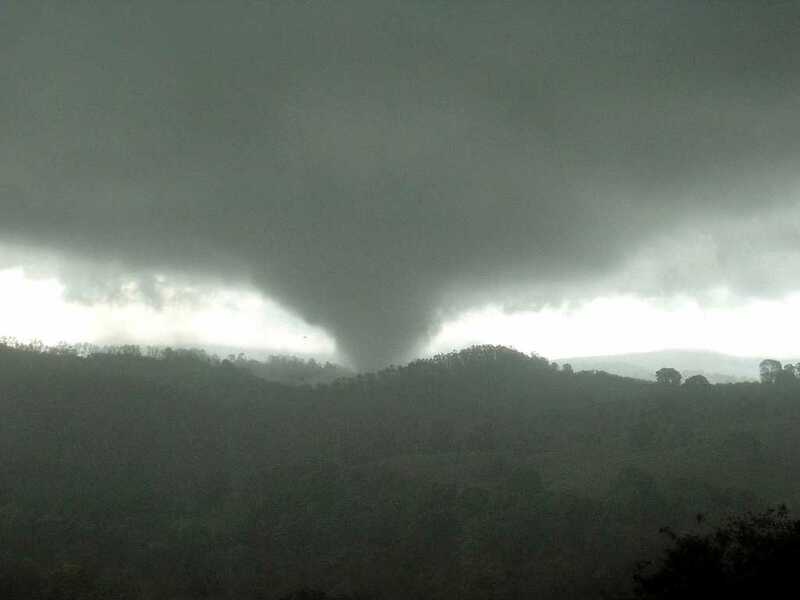 ONE Friday afternoon 10 years ago, a tornado ripped through the tiny village of Dunoon, leaving a trail of destruction and devastation in its wake. Nobody was injured during the 10 minute tornado but it managed to demolish a church, parts of a school, two homes, and cause severe damage to 20 homes. 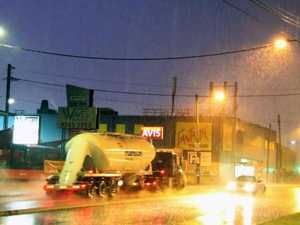 An iron sheet was also hurdled into the active power lines of the electrical sub-station, leaving the town in darkness. 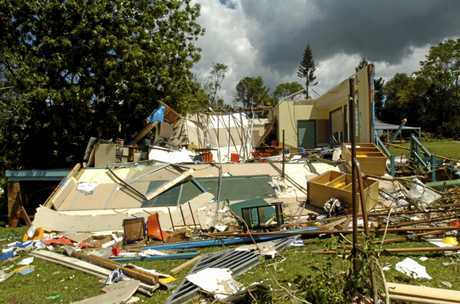 Stuart Cheater, who lives five kilometres out of town, was taking his kids to a birthday party when the tornado hit. "My daughter was sitting in the back seat of the car and she says to me 'that's one of those things that goes round and round'," Mr Cheater said. "By the time I got to the birthday party they were like did you hear what's happened in Dunoon?" "We had one daughter in after school care at the time... they were normally in the block that was smashed but the principal called to put them up in the main building." But when they tried to get to their daughter they were blocked off in both directions from fallen trees and power lines, a terrifying experience. Classrooms exploded while school supplies and furniture were hurled across 30 metres. 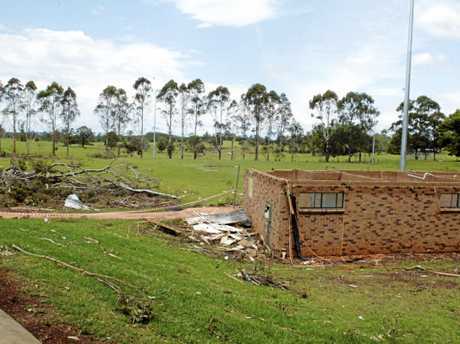 The Dunoon Sports Clubhouse was built in 2003 but was left a shell after the storm hit. Dunoon resident Warren Baker remembers it well. "A piece of it speared into the backyard. There was four of us trying to get it out of the ground but we couldn't, we just cut it off," he said. "A mate and I were watching it from the veranda and said 'we had better go inside this is getting really close', so we were watching through this big window inside and I was like 'hang on this is probably not a good spot either' and then the windows started going in and out." Down the road, the church was destroyed for the second time. 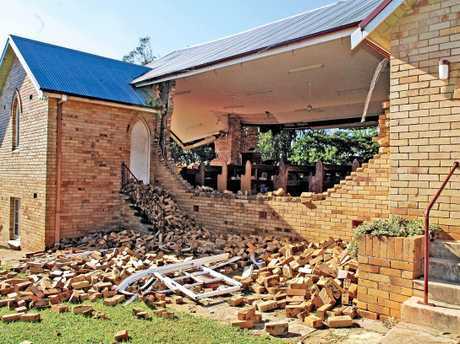 St Matthew's Anglican Church's double brick walls were splayed outwards, the roof was barely held in place by its remaining pillars, while bibles remained untouched on the pews. Church Civil Celebrant Georgina Murray said the altar was left in "shreds" and the remains of the church had to be demolished within two days due to the danger it presented. "Bear in mind this is the third building on that site - the other one (a wooden church) was blown off its stumps in 1954," Ms Murray said. "It was rebuilt as a brick church, the one that blew down. "The building we have now is structurally very sound, I don't think it will be blown down again." Astonishingly enough, homes opposite stood untouched. Dunoon resident Andy Parks, who was a Northern Star journalist at the time, said he was getting cryptic messages that something bad had happened. He drove out there to see what had happened, worried about his daughter and heavily pregnant wife who were there. "I was there an hour or two after it happened and you just walked down the street and thought 'oh my god'," he said. "The next day was like a war zone in that everyone was out on the street cleaning up."